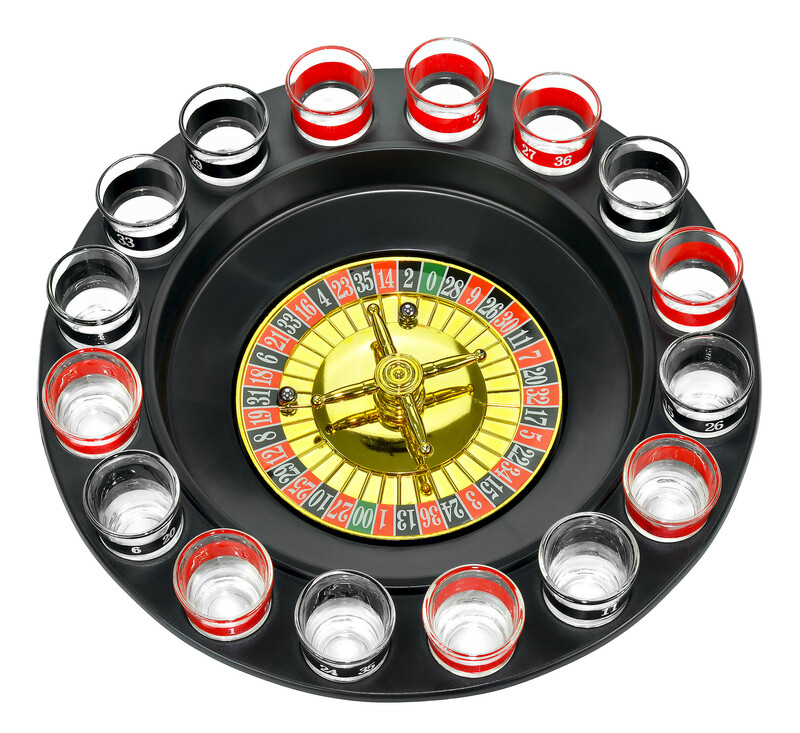 Bring the casino to your living room with Fairly Odd Novelties' Shot Glass Roulette Drinking Game! This all-inclusive set comes ready to play, with 16 numbered shot glasses, 2 metal roulette balls, and the game board included. Gone are the nights of boring card games, as you and your friends get the "spins" at your next event! With this drinking game, the house always wins! The house always wins with Fairly Odd Novelties' Shot Glass Roulette Drinking Game! Bring the casino to your living room and liven up your next party with this all-inclusive set, which comes with everything you need to play including: 16 numbered shot glasses, 2 metal roulette balls, and the game board! If you're tired of the same old card or board games, then it's time to take this exciting new drinking game out for a spin. This boozy twist on roulette also makes an excellent gift and is sure to be a hit at your next birthday, white elephant, office, or secret Santa party! And don't forget about the college student in your life, as this game is sure to be the talk of the dorm come Friday night. Order today and get ready for the "spins!" Measures 11.50 inches in diameter and 1.75 inches tall. Each shot glass holds 1 US fluid ounce and is made of glass. Comes in a full color gift-ready box. Hand wash only.